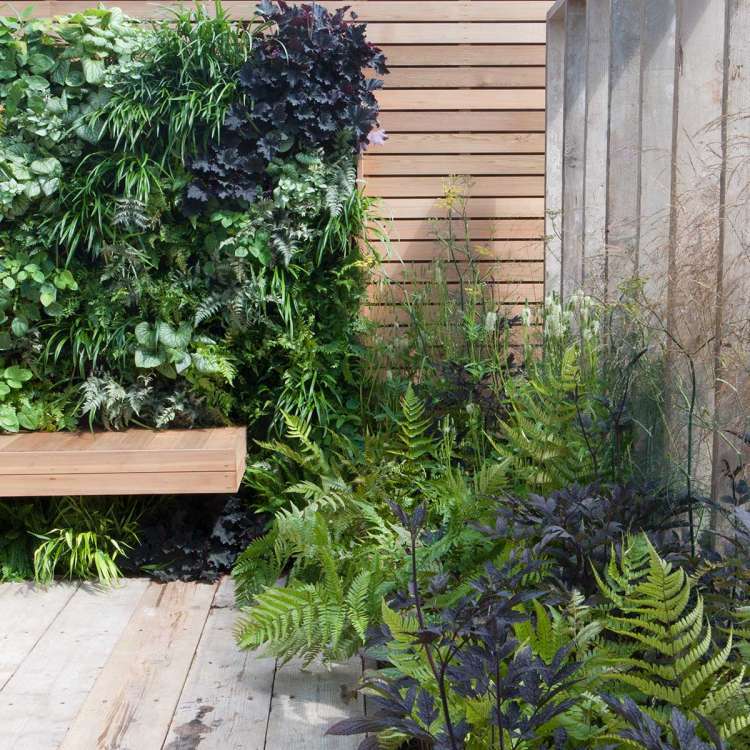 Escape to the City was a show garden with a brief to provide a garden using recycled materials, encourage wildlife and use pioneering ways of growing plants and conserving water. 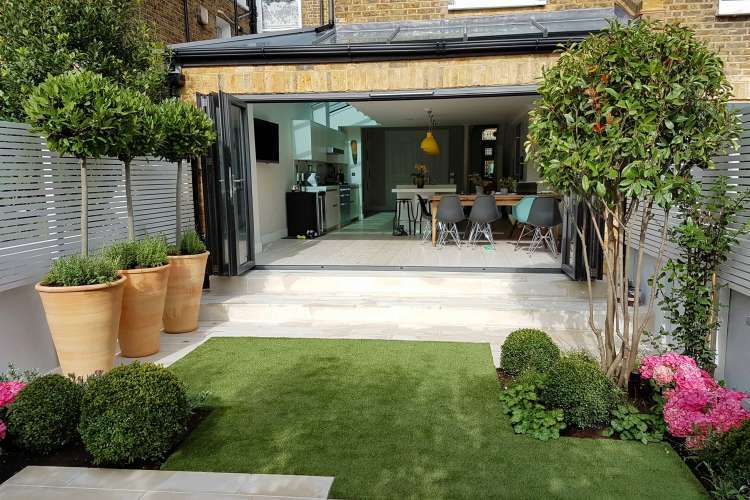 Our garden was specifically designed for an urban homeowner who had grown up in the countryside and wanted a feel of the planting styles and materials found at home, whilst living in London. 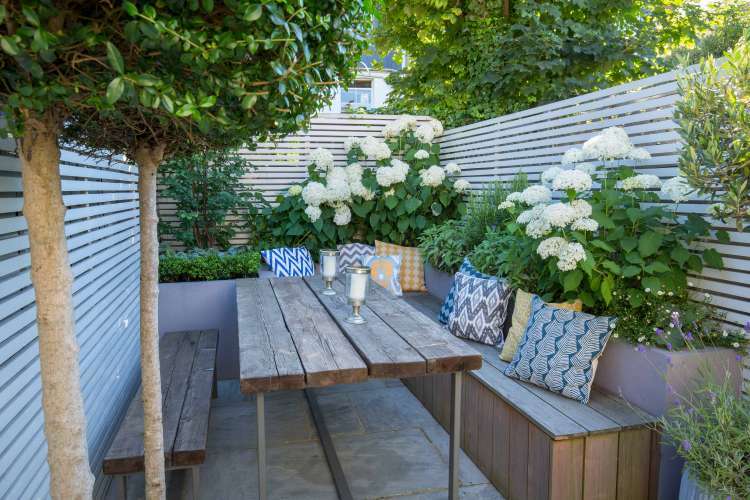 The garden uses reclaimed timber to create a large deck for relaxing and entertaining, with access from a path made with recycled granite cobbles. 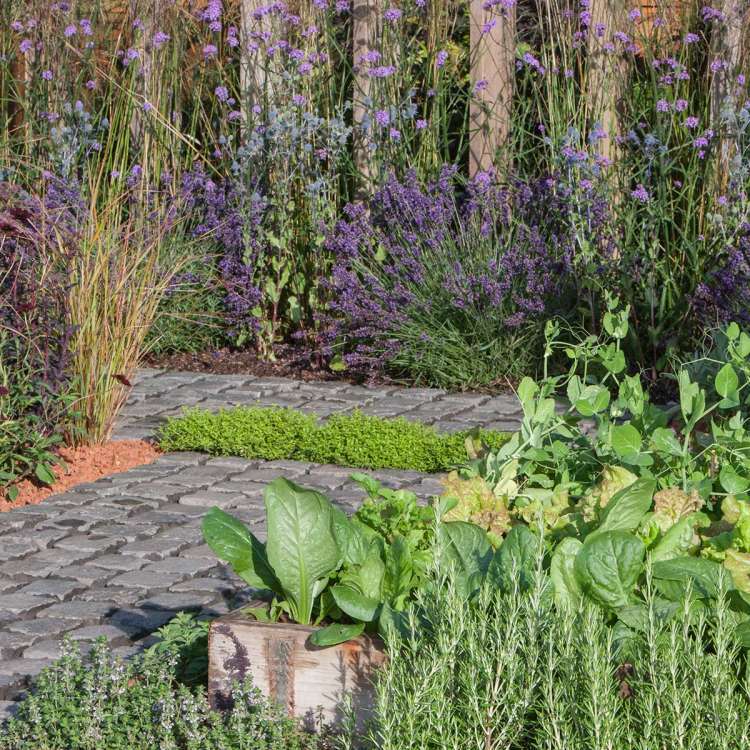 A combination of nectar rich and edible plants flow across the ground level, mulched with recycled crushed brick to suppress weeds and retain moisture. 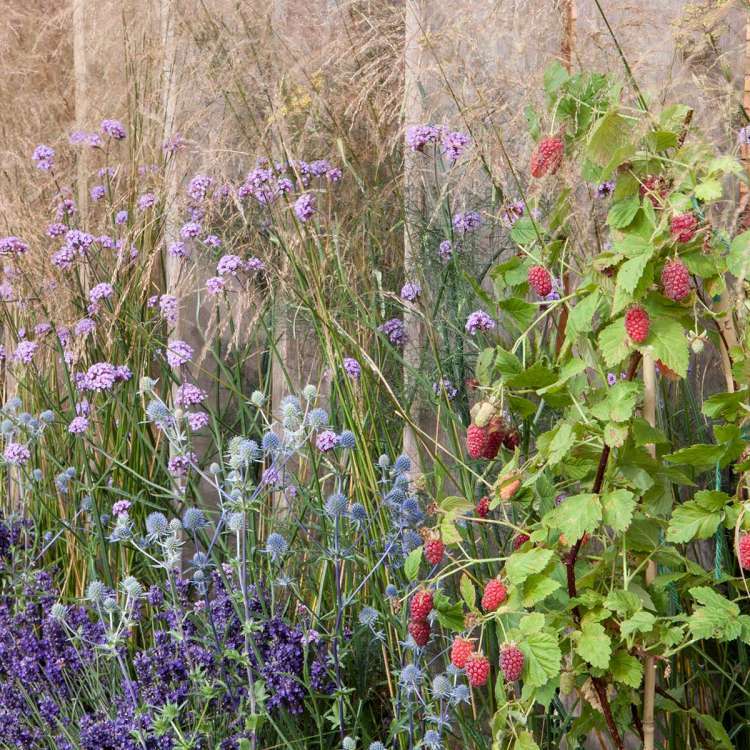 Fruit, vegetables and salad spill from reclaimed galvanised farm troughs, providing a manageable source of organic home grown produce. 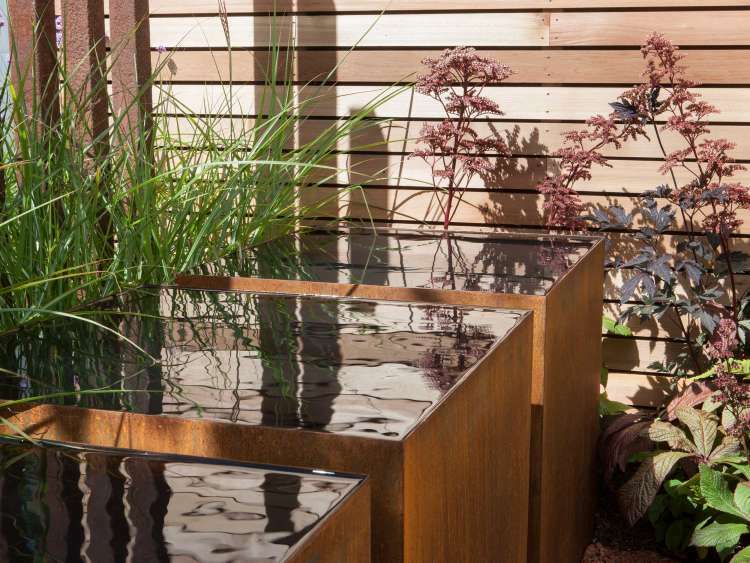 Reclaimed box profile rusty columns, salvaged from a nearby factory, are used vertically as a privacy screen and reflect in Corten steel water cubes that collect rain water. 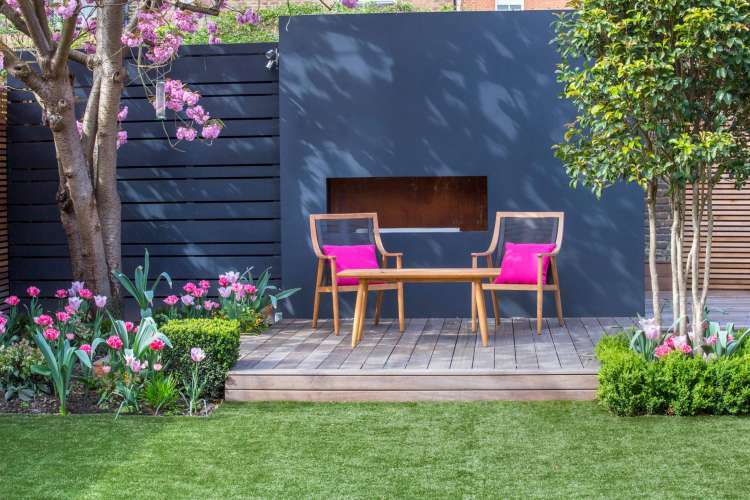 By using simple geometry, the design provides a number of zones that comfortably sit together, using different planting suited to the light levels in each area. 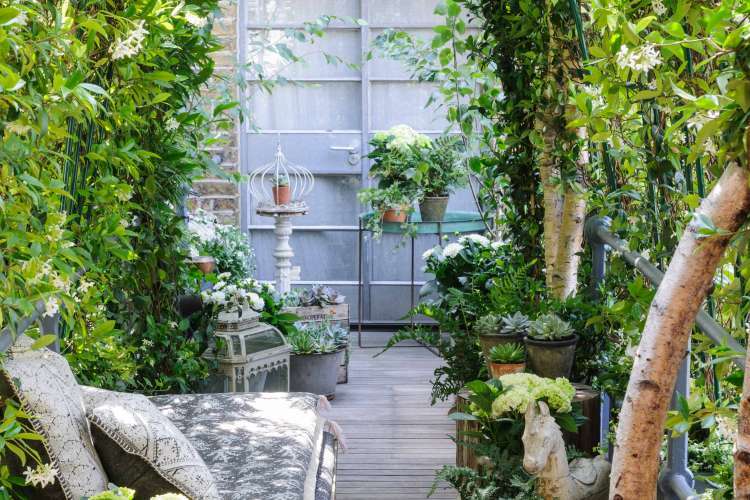 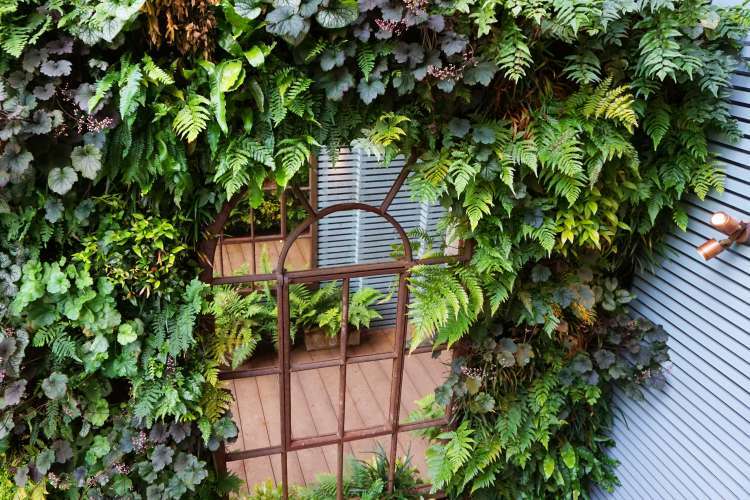 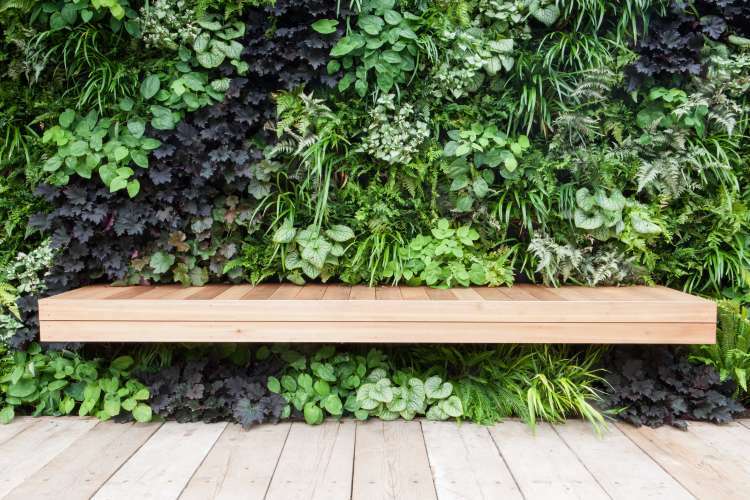 The living wall helps to pack even more planting into the garden and forms a stunning backdrop to the cantilevered benches. 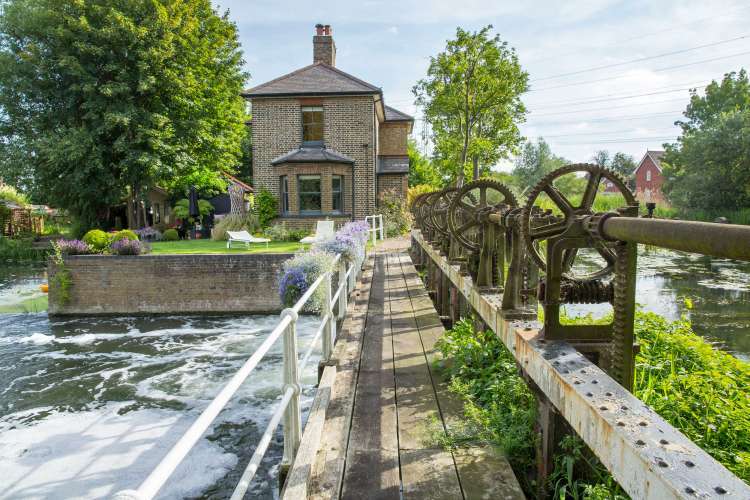 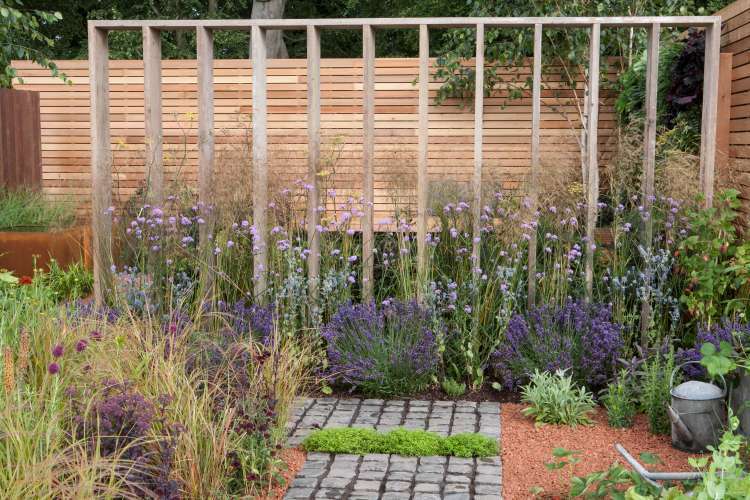 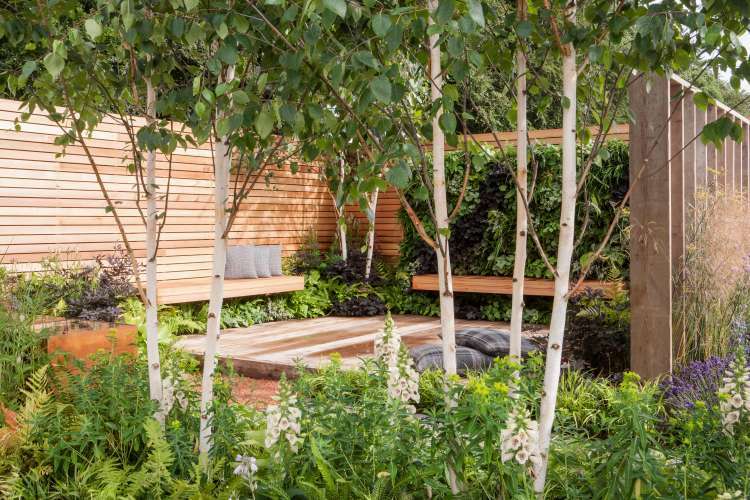 The garden won Best in Category, Royal Horticultural Society Gold Medal and Tony Woods won the RHS Young Designer of the Year Award for the design. 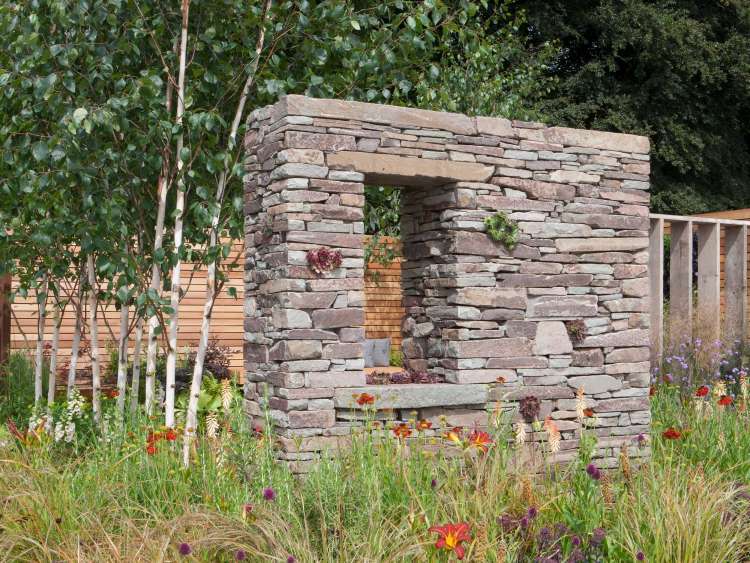 Tony Woods is a garden designer with extraordinary sureness of touch.